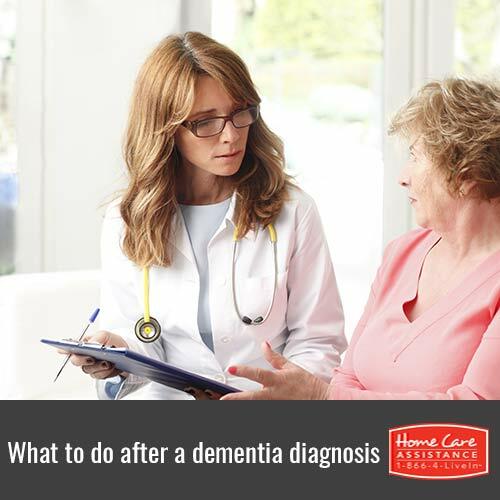 What Should Happen After a Senior's Dementia Diagnosis? Even if you’ve noticed some of the warning signs, a dementia diagnosis can come as a shock to both you and your elderly loved one. Taking the right steps afterward can help your family adjust and help your loved one get the high-quality Guelph home care he or she needs. A support group can help your loved one come to terms with his or her dementia diagnosis. He or she may feel scared, be shocked, or even feel anger toward the condition. While family and friends can be a great help and provide a listening ear, a support group with others who are facing the same prognosis may help your loved one adjust better to the situation. Your loved one should decide who they would like to tell about his or her diagnosis and when he or she would like this to occur. It may seem prudent to you to tell others about the condition in order to reach out for help, but your loved one may feel embarrassed or worried how others will react. Allowing your loved one to tell others when he or she is ready can minimize these feelings. Though your loved one will need to change aspects of how he or she lives, allow him or her to remain as independent as possible through the use of memory aids such as clocks or calendars. An occupational therapist’s assistance can be arranged to ensure your loved one’s safety. The therapist can go through your loved one’s home and suggest changes such as additional lighting and removing hazards that can lead to falls. There are several medications that can help reduce the symptoms of dementia. Talk with your loved one’s doctor to see if there is help available. Additionally, it is common for seniors receiving dementia care in Guelph to feel depressed. Medications and counseling can help combat their depression. A dementia diagnosis does not mean your loved one cannot lead a healthy life. By using revolutionary programs such as the Cognitive Therapeutics Method, the caregivers at Home Care Assistance can help delay the onset of dementia and slow cognitive decline. In addition to Alzheimer’s and dementia care, we also offer specialized post-stroke and Parkinson’s care in Guelph. 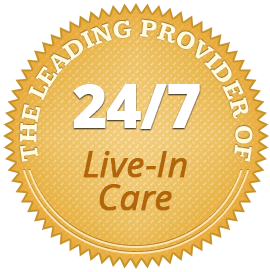 To learn more about our senior care services, call a knowledgeable Care Manager at (519) 954-2111.